MeriTalk recently caught up with Kirk Kern, chief technology officer for NetApp Americas, to discuss the company’s Hybrid Cloud Infrastructure (HCI) services, and how Federal government agencies can more quickly and surely take advantage of HCI to speed their path to IT modernization. MeriTalk: Federal agencies are doggedly pursuing IT modernization, but for many it’s still a slow road without a lot of new budget authority to help that effort. How can NetApp HCI services help agencies to speed their modernization efforts in an era of relative budget austerity? 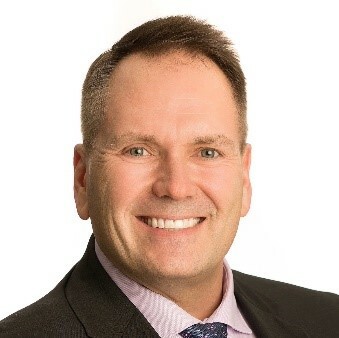 Kirk Kern: A transformational element in every IT modernization journey involves the use of orchestration and automation to reduce administrative demands, improve service delivery and reduce operational costs through better system utilization. This results in a foundational shift in the data center to adapt or replace IT assets with systems that can be programmatically controlled. NetApp Hybrid Cloud Infrastructure (HCI) was designed with a service provider model in mind so that it can be managed by RESTful API services. Customers can build agile service offerings that can be rapidly deployed in data centers to improve operational simplicity and utilization. NetApp HCI also has the ability to scale storage and compute nodes independently, giving IT managers an ability to deploy the precise resources to meet the demands of any and all workloads. MeriTalk: NetApp emphasizes how hyperconverged infrastructure and hybrid cloud play well together. Can you expand a little on why they work well together, and how the NetApp Data Fabric supports hybrid cloud? Kirk Kern: NetApp has been engineering solutions for over five years now with the expectation that the IT industry would settle into a world where hybrid cloud is the preferred and common method of consuming IT. This implies that there will be some private cloud assets, potentially on premise or in CoLos, as well as commercial cloud services. We fondly call NetApp HCI our private cloud – and it is part of a bigger ecosystem that we call the Data Fabric that allows customers to operate and manage their data from on premise, into the cloud and across clouds. NetApp HCI is “cloud aware” or “cloud enabled” because its supports cloud native interfaces like S3 object services , NetApp Data Availability Services (NDAS) for backup and has integrated features for optimizing OpenStack and VMware deployments. We are also supporting containerized deployments and have a really big initiative underway to manage orchestration at scale and across the major hyper-scalars with a cloud-based NetApp Kubernetes Services. MeriTalk: How will the changes in the draft version of the Data Center Optimization Initiative (DCOI), which focus more on optimization instead of just data center closures, impact how agencies approach modernization, HCI, and cloud uptake? Kirk Kern: This is an acknowledgement that the government also sees hybrid cloud as the preferred method for satisfying IT requirements for the Federal government. DCOI has been successful at reducing the number of data centers the government operates, but for those that remain there are likely good reasons for their continued existence and so they must develop methods to operate them as efficiently possible. That involves the orchestration and automation work I mentioned earlier, but also the hard work of developing new processes and authorization procedures so that the agencies can quickly adapt to the new capabilities and methods of consuming services. Once that has occurred, government agencies can look for opportunities to use either private cloud or public cloud to reduce costs or improve on the services they supply to their employees or citizens. MeriTalk: Federal government cloud adoption – for which metrics are wide ranging – appears to be lagging the private sector by a wide margin. 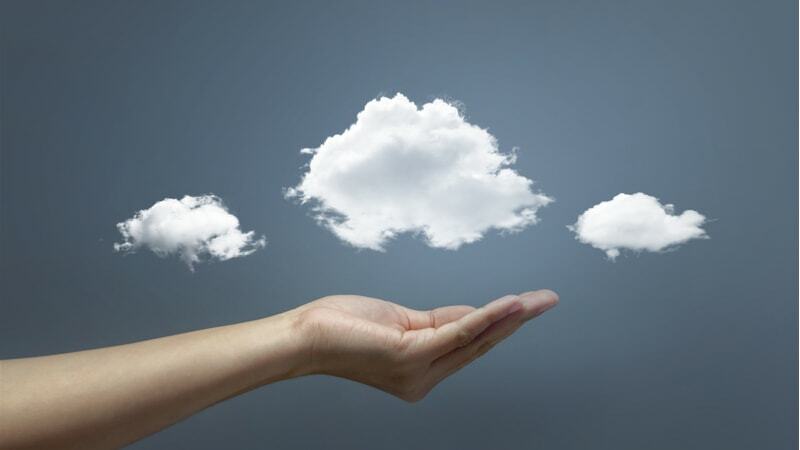 What’s holding up the Feds and what can be done to quicken cloud adoption? Second, workforce policies and procedures are in need of change. For example, there remains a noticeable skills gap that impacts staffing key positions where cloud technologies are used. The rate of change in this area is accelerating, so the government must move toward programs that involve continuous learning as part of an individual’s job function. Discrete learning events must be replaced by policy guidance to leverage all resources available, which might include e-learning, vendor or service provider-based training, as well as private sector education resources. Finally, more attention needs to be paid to acquisition reform. Procurement models have evolved but not transformed. For instance, IT services from a hyper-scalar can change monthly or even weekly, and multi-year procurements with awards for predetermined service definitions or SLAs effectively prevent the government from acquiring and exploiting the newest and potentially better capabilities. The guidance in the Cloud Smart initiatives appear to be focused on correcting these issues. MeriTalk: What other Federal policies are supporting or hindering agency HCI adoption (Cloud Smart, Trusted Internet Connections, FITARA, MGT Act, the Technology Modernization Fund, etc.)? Kirk Kern: It’s not easy to point to any single policy as hindering HCI adoption. However, when viewed collectively by a Federal agency CIO or IT director, guidance from those policies collectively represent concepts with strong areas of commonality for improving IT operations. But in other cases they can also represent conflicting guidance in terms of achieving the best solutions for operating or maintaining an agency’s IT capability. I have been a proponent of using Digital Key Performance Indicators (KPIs) as a more tangible way of measuring the success of adopting new technology. This is especially useful in the Federal government when the result in not part of a profit or loss calculation but one that involves delivering better services or capabilities. For example, businesses create digital KPIs that measure the success of using digital cloud services by reducing wait time or enabling first-touch problem resolution from using chatbot services, increase e-cart items counts thru online marketplace automation or improve business initiative adoption by tracking mobile phone app transactions versus traditional. Optimistically, one could envision a scenario where the U.S. government begins to measure success of improved citizen services from using cloud versus measuring the success in deploying the IT.